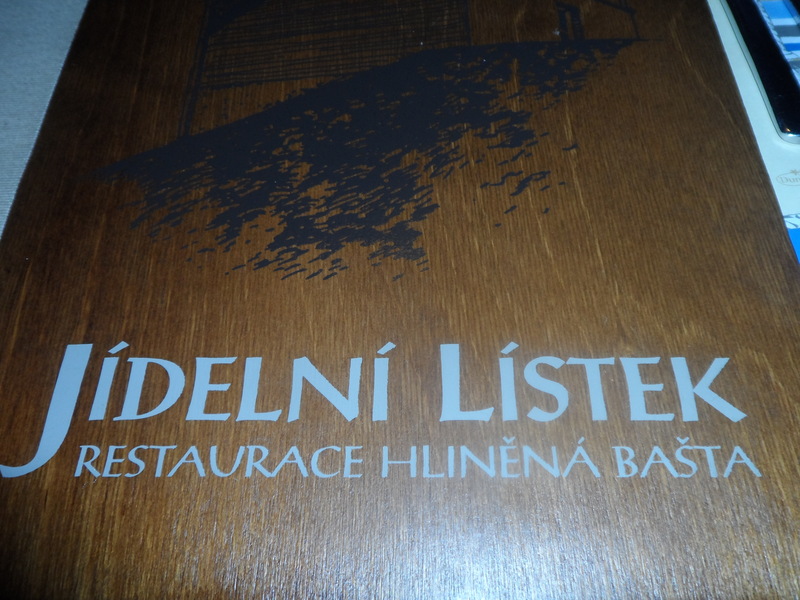 Restaurant Hlinene Basta Prague, no website available… Find it on google…. 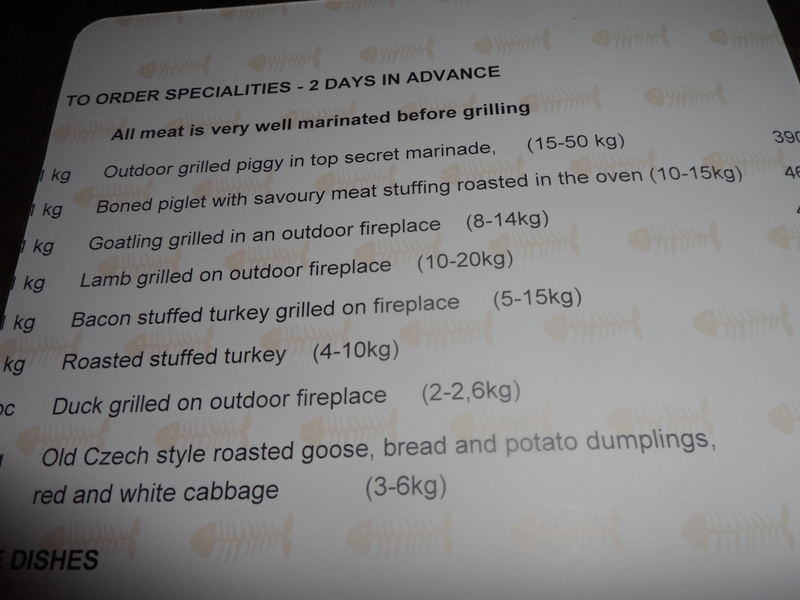 Typical Czech kitchen, just look at the menu with stuffed goose or goatling….. etc. What did I eat then? 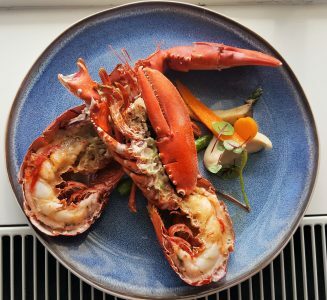 Stuffed Avocado with prawns and special hot sauce…..topped with whipped cream and unbaked toast…hahaha just call it bread then, I would say…. 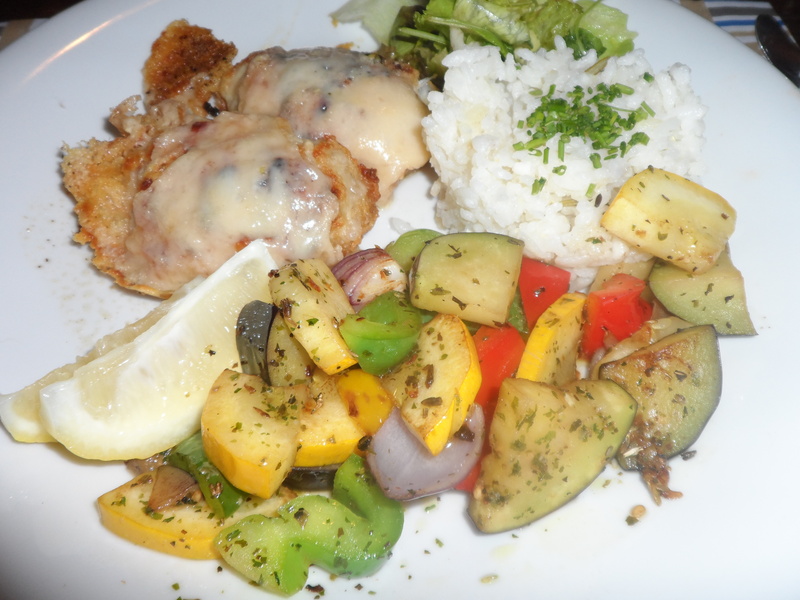 Then grilled monk-fish with a Parmesan crust and arborio rice with some grilled veggies, very tasty! 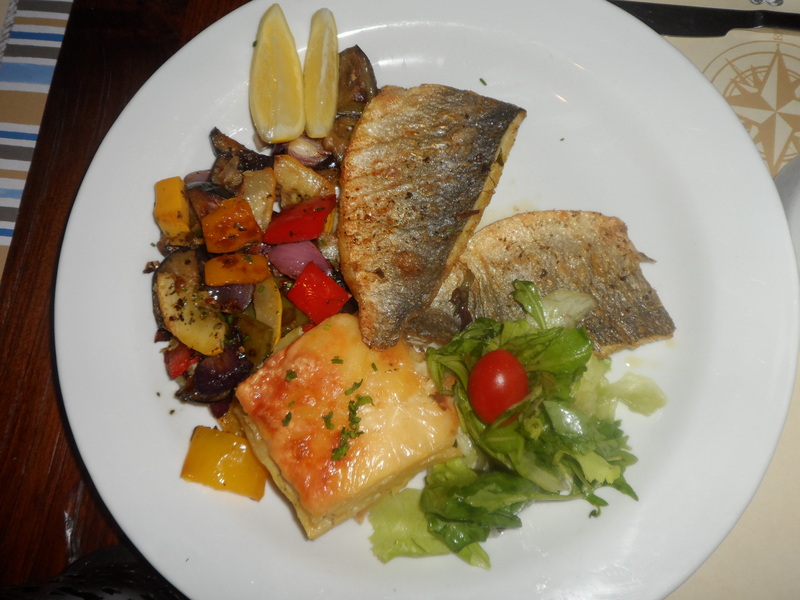 Great vegetables, good cheese crust well baked fish, all okay! + great hot cocktail sauce on the prawns ! 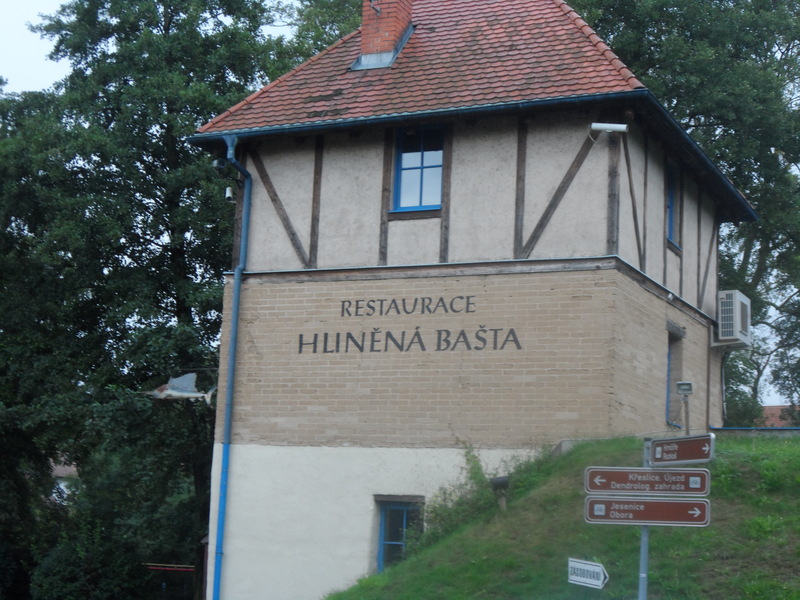 – And a last bad point, you can not call toast toast when it is not toasted…..then it is called bread…. Food: 7.4 – average, okay, tasteful, original and so much options, everybody will eat okay over here. 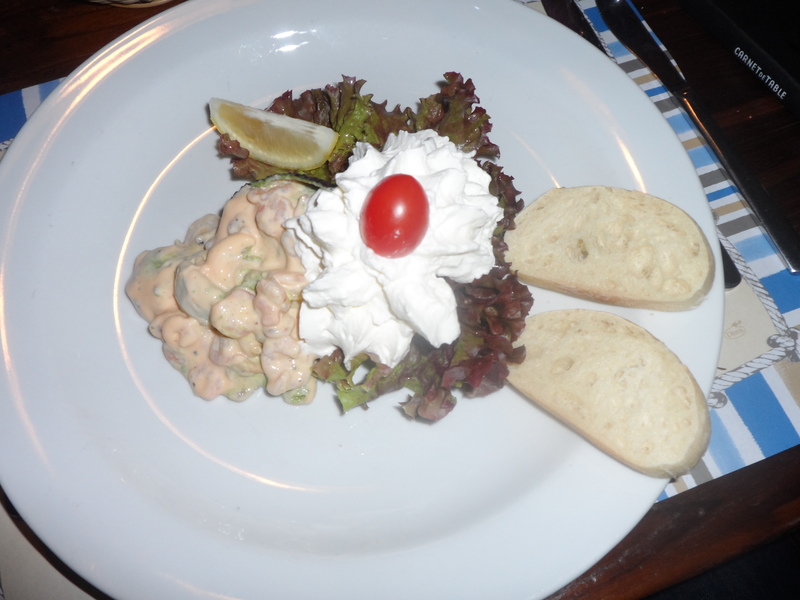 price: 7.4 – Hahaha, just as the rest, no complaints, expensive for Prague, cheap for Antwerp….